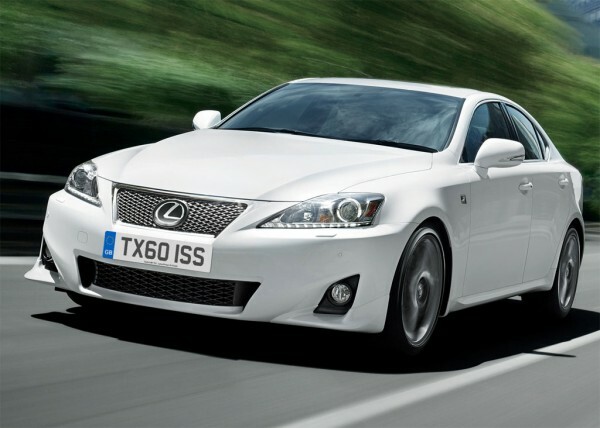 Lexus, Toyota’s luxury brand is planning on launching its entire range of cars into the Indian market by the end of 2012. The Indian car market has grown at such an exponential pace that is very easy to see why Lexus has now decided to venture into the market. With the Indian economy managing to do quite well in spite of the global crisis many car manufacturers are turning to the country for its next big thing. 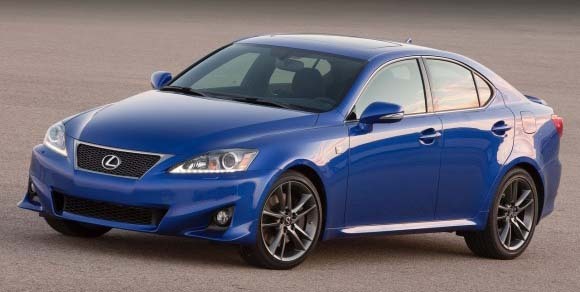 The Lexus IS range is the entry-level luxury car and comes either as a convertible or hard-top. Presently details are not available as to what specifications the vehicle might have for the Indian market and this preview will mention those that are common in all IS models. The Lexus IS range offers potential buyers the opportunity to get a true sports car feel for a much less price and is a truly fun car to drive. The IS series is expected to make its entry into the Indian market by the end of 2012 and presently there are no exact reports on what its price may be but if I were to speculate I would put it in the range of around 30– 35 lakhs. The IS features a whole host of features and are fitted with unique body panels that ensure minimal body roll. This is the first of its kind paneling and gives the Lexus IS one up on its traditional rivals the BMW 3 series and the Audi A5. In India the Lexus IS will compete with the Nissaz 370 Z and the Nissan GT-R but seeing that both of these are priced higher it is fair to assume that the Lexus is on its own in the car Indian car market. The Lexus IS currently features two types of engines for its two IS models. The IS 250 gets a 2.5 liter, six-cylinder, 24 valve engine that produces 204 horsepower and a maximum torque of 185 pound-feet. The IS 350 is expected to be fitted with a very powerful 3.5 liter, six-cylinder, 24 valve engine that generates a maximum 305 horsepower and a maximum 277 pound-feet of torque. The IS 250 is mated to a six-speed manual transmission but the IS 350 presently only has a seven-speed DSG automatic transmission. The Lexus IS series is the perfect blend of comfort and ride handling as it has independent double wishbone suspension with coil springs. This enables the IS to glide over rough and uneven road surfaces. The braking in the IS is also superb and it comes fitted with front ventilated and rear disk brakes. The car is very fast and has a top speed of 225 km/hr. Just because the car has a very powerful engine it does not meant that it has a high fuel economy and its mileage ratings are a decent 7 km/l in the city and 9 km/l on the highway which is very competitive in relation to the other cars in this segment. When someone hears Lexus they automatically think of superior styling and luxury. The Lexus IS series is nothing but that. It perfectly combines the best of both with a superb exterior styling and impeccable interior design. The outside is wonderfully designed with smooth lines and curves that move smoothly from the front of the car towards the rear and allow for aerodynamic driving. The interiors are well constructed with the usual plethora of comforts that Lexus has come to be associated with. Latest technology is also extensively used in the Lexus IS series making it ultimately comfortable for any driver. The car comes with a top-of-the range Mark Levinson Audio package that automatically adjusts its volume depending on if the windows are rolled up or down. Additional features that may come with the Lexus IS are navigation system, ventilated and heated front seats, Lexus pre-collision system, wood trim finish, dynamic cruise control, intuitive parking assist and rain sensing wipers. The Lexus IS is a very capable car and will be a good addition to a very niche entry-level luxury segment in India’s car market. The Lexus IS series is a fast and safe option to those buyers who are looking for lots of fun without the hassle of carting around many passengers. The positives of the car would definitely been its overall look as well as the new-age technology it supports. It is a powerful piece of machinery but lacks the space that other rivals have. Boot space is decent and space for a couple of bags for a quick weekend trip is available. The Lexus IS features all the necessary safety requirements that will give the driver the peace of mind to push it to its limit. The IS moves from 0 – 100 in about 8 seconds making it a pretty fast vehicle. Saying that, the car could do with a bit more acceleration and feels quite sluggish off the line. The Lexus IS is very competitively priced around 30 – 35 lakhs, for the Indian market and combined with its looks will be an attractive proposition to those buyers that love a comfortable, luxurious driving experience in the city as well as a fast, exhilarating drive on the winding ghats or straight highways.